Objective: The recurrence rate was compared after single burr hole evacuation and closed drainage system versus double burr hole evacuation and closed drainage system of CSHD. Material and Methods: Sixty cases were included and randomized into two equal groups. Patient fulfilling the inclusion criteria were enrolled through the emergency and outdoor. CT scan brain was done and site, size and thickness of CSDH were evaluated. Patient were treated in exactly the same way as per standard ward routine practice except that the treatment option (whether to use the single or double burr hole) was decided through randomization by using random tables, Group A with single burr hole and Group B with double burr hole with closed drain used in both cases. Patients were kept admitted in the hospital till they were fit go home. Each patient was followed for recurrence at the 15th day, 1 month, 2 months and finally at 03 months. Results: Total 60 patients of chronic subdural hematoma were included. Total cases were divided into two equal groups with 30 cases in group A (single burr hole) and 30 cases in group B (two burr holes). The mean age of all patients was 59 yrs with SD ± 12 with minimum age 40 yrs and maximum age 80 yrs. Conclusion: Most of the patients (82%) had recovered after burr-hole craniostomy. However, some patients (18%) suffer recurrence of hematoma. No significant difference in recurrence of CSDH with one burr hole or two burr holes and was found and also noticed that the rate of recurrence is to some extent lower with double burr hole than with one burr hole evacuation of chronic subdural hematoma. 1. Montano N, Stifano V, Skrap B, Mazzucchi E. Management of residual subdural hematoma after burr-hole evacuation. The role of fluid therapy and review of the literature. J Clin Neurosci. 2017 Sep. 5. 2. Soleman J, Kamenova M, Guzman R, Mariani L. The Management of Chronic Subdural Hematoma Patients Treated with Low-dose Acetylsalicylic Acid: An International Survey of Practice. World Neurosurg. 2017 Aug. 21. 3. Uno M, Toi H, Hirai S. Chronic Subdural Hematoma in Elderly Patients: Is This Disease Benign? Neurol Med Chir (Tokyo), 2017 Aug. 15; 57 (8): 402-9. 4. Matsumoto H, Hanayama H, Okada T, Sakurai Y, Minami H, Masuda A, et al. Clinical investigation of chronic subdural hematoma with impending brain herniation on arrival. Neurosurg Rev. 2017 May 20. 5. Oh CW. Erratum: Risk Factor Analysis for the Recurrence of Chronic Subdural Hematoma: A Review of 368 Consecutive Surgical Cases. Korean J Neurotrauma, 2017 Apr; 13 (1): 61. 6. Bartek J, Jr., Sjavik K, Kristiansson H, Stahl F, ForneboI, Forander P, et al. Predictors of recurrence and complications after chronic subdural hematoma surgery: a population-based study. World Neurosurg. 2017 Jul. 19. 7. Katsigiannis S, Hamisch C, Krischek B, Timmer M, Mpotsaris A, Goldbrunner R, et al. Independent predictors for functional outcome after drainage of chronic subdural hematoma identified using a logistic regression model. J Neurosurg Sci. 2017 Jul. 12. 8. Jafari N, Gesner L, Koziol JM, Rotoli G, Hubschmann OR. The Pathogenesis of Chronic Subdural Hematomas A Study on the Formation of Chronic Subdural Hematomas and Analysis of Ct Findings. World Neurosurg. 2017 Jul. 25. 9. Kanyi JK, Ogada TV, Oloo MJ, Parker RK. Burr-Hole Craniostomy for Chronic Subdural Hematomas by General Surgeons in Rural Kenya. World J Surg. 2017 Jul. 24. 10. Chandran RS, Nagar M, Sharmad MS, Prabhakar RB, Peethambaran AK, Kumar S, et al. Single Parietal Burr-hole Craniostomy with Irrigation and Drainage for Unilateral Chronic Subdural Hematoma in Young Adults < 40 Years: A Rationale behind the Procedure. J Neurosci Rural Pract. 2017 Jul; 8 (3): 389-94. 11. Soleman J, Kamenova M, Lutz K, Guzman R, Fandino J, Mariani L. Drain Insertion in Chronic Subdural Hematoma: An International Survey of Practice. World Neurosurg. 2017 Aug; 104: 528-36. 12. Gelabert-Gonzalez M, Roman-Pena P, Aran-Echabe E. Chronic subdural hematoma in the oldest-old population. Neurosurg Rev. 2017 Apr. 7. 13. Desai VR, Scranton RA, Britz GW. Management of Recurrent Subdural Hematomas. Neurosurg Clin N Am. 2017 Apr; 28 (2): 279-86. 14. Vega RA, Valadka AB. Natural History of Acute Subdural Hematoma. Neurosurg Clin N Am 2017 Apr; 28 (2): 247-55. 15. Abecassis IJ, Kim LJ. Craniotomy for Treatment of Chronic Subdural Hematoma. Neurosurg Clin N Am 2017 Apr; 28 (2): 229-37. 16. Yang W, Huang J. Chronic Subdural Hematoma: Epidemiology and Natural History. Neurosurg Clin N Am. 2017 Apr; 28 (2): 205-10. 17. Castellani RJ, Mojica-Sanchez G, Schwartzbauer G, Hersh DS. Symptomatic Acute-on-Chronic Subdural Hematoma: A Clinicopathological Study. Am J Forensic Med Pathol. 2017 Jun; 38 (2): 126-30. 18. Brennan PM, Kolias AG, Joannides AJ, Shapey J, Marcus HJ, Gregson BA, et al. The management and outcome for patients with chronic subdural hematoma: a prospective, multicenter, observational cohort study in the United Kingdom. J Neurosurg. 2017 Mar 17: 1-8. 19. Xu CS, Lu M, Liu LY, Yao MY, Cheng GL, Tian XY, et al. Chronic subdural hematoma management: clarifying the definitions of outcome measures to better understand treatment efficacy - a systematic review and meta-analysis. Eur Rev Med Pharmacol Sci. 2017 Feb; 21 (4): 809-18. 20. Dziedzic TA, Kunert P, Marchel A. Clinical Course and Results of Surgery for Chronic Subdural Hematomas in Patients on Drugs Affecting Hemostasis. J Korean Neurosurg Soc. 2017 Mar; 60 (2): 232-8. 21. Yang W, Huang J. Chronic Subdural Hematoma: Epidemiology and Natural History. Neurosurg Clin N Am. 2017 Apr; 28 (2): 205-10. 22. Kale A, Oz II, Gun EG, Kalayci M, Gul S. Is the recurrence rate of chronic subdural hematomas dependent on the duration of drainage? Neurol Res. 2017 May; 39 (5): 399-402. 23. Toi H, Kinoshita K, Hirai S, Takai H, Hara K, Matsushita N, et al. Present epidemiology of chronic subdural hematoma in Japan: analysis of 63,358 cases recorded in a national administrative database. J Neurosurg. 2017 Feb. 3: 1-7. 24. Avanali R, Bhadran B, Krishna KP, Vijayan A, Arun S, Musthafa AM, et al. Chronic Subdural Hematoma: A Questionnaire Survey of Management Practice in India and Review of Literature. World Neurosurg. 2016 Dec; 96: 355-61. 25. Iftikhar M, Siddiqui UT, Rauf MY, Malik AO, Javed G. Comparison of Irrigation versus No Irrigation during Burr Hole Evacuation of Chronic Subdural Hematoma. J Neurol Surg A Cent Eur Neurosurg. 2016 Sep;77 (5): 416-21. 26. Gelabert-Gonzalez M, Rico-Cotelo M, Aran-Echabe E. [Chronic subdural hematoma]. Med Clin (Barc) 2015 Jun. 8; 144 (11): 514-9. 27. Kanyi JK, Ogada TV, Oloo MJ, Parker RK. Burr-Hole Craniostomy for Chronic Subdural Hematomas by General Surgeons in Rural Kenya. World J Surg. 2017 Jul. 24. 28. Chandran RS, Nagar M, Sharmad MS, Prabhakar RB, Peethambaran AK, Kumar S, et al. Single Parietal Burr-hole Craniostomy with Irrigation and Drainage for Unilateral Chronic Subdural Hematoma in Young Adults <40 Years: A Rationale behind the Procedure. J Neurosci Rural Pract. 2017 Jul; 8 (3): 389-94. 29. Abecassis IJ, Kim LJ. Craniotomy for Treatment of Chronic Subdural Hematoma. Neurosurg Clin N Am 2017 Apr; 28 (2): 229-37. 30. Han HJ, Park CW, Kim EY, Yoo CJ, Kim YB, Kim WK. One vs. Two Burr Hole Craniostomy in Surgical Treatment of Chronic Subdural Hematoma. J Korean Neurosurg Soc. 2009 Aug; 46 (2): 87-92. 31. Juratli TA, Klein J, Schackert G. [Chronic subdural hematoma in the elderly]. Chirurg. 2017 Feb; 88 (2): 131-5. 32. Brennan PM, Kolias AG, Joannides AJ, Shapey J, Marcus HJ, Gregson BA, et al. The management and outcome for patients with chronic subdural hematoma: a prospective, multicenter, observational cohort study in the United Kingdom. J Neurosurg. 2016 Nov. 11: 1-8. 33. Choi JJ, Kim HS, Lee KC, Hur H, Jo YY. Prediction of in-hospital mortality and morbidity using high-sensitivity C-reactive protein after burr hole craniostomy. J Anesth. 2016 Dec; 30 (6): 956-60. 34. Yadav YR, Parihar V, Namdev H, Bajaj J. Chronic subdural hematoma. Asian J Neurosurg. 2016 Oct; 11 (4): 330-42. 35. Avanali R, Bhadran B, Krishna KP, Vijayan A, Arun S, Musthafa AM, et al. Chronic Subdural Hematoma: A Questionnaire Survey of Management Practice in India and Review of Literature. World Neurosurg. 2016 Dec; 96: 355-61. 36. Xu C, Chen S, Yuan L, Jing Y. Burr-hole Irrigation with Closed-system Drainage for the Treatment of Chronic Subdural Hematoma: A Meta-analysis. Neurol Med Chir (Tokyo), 2016; 56 (2): 62-8. 37. 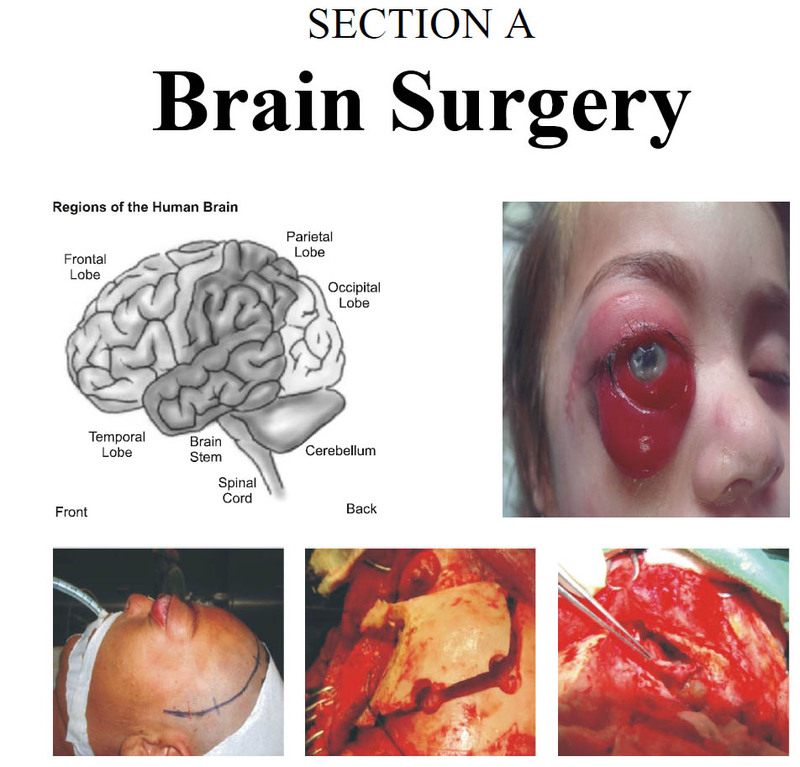 Wang K, Chen D, Cao X, Gao L. A Prospective Comparative Study of Twist Drill Craniostomy Versus Burr Hole Craniostomy in Patients with Chronic Subdural Hematoma. Turk Neurosurg. 2017; 27 (1): 60-5. 38. Pang CH, Lee SE, Kim CH, Kim JE, Kang HS, Park CK, et al. Acute intracranial bleeding and recurrence after bur hole craniostomy for chronic subdural hematoma. J Neurosurg. 2015 Jul; 123 (1): 65-74. 39. Kim GH, Kim BT, Im SB, Hwang SC, Jeong JH, Shin DS. Comparison of the Indications and Treatment Results of Burr-Hole Drainage at the Maximal Thickness Area versus Twist-Drill Craniostomy at the Pre-Coronal Point for the Evacuation of Symptomatic Chronic Subdural Hematomas. J Korean Neurosurg Soc. 2014 Sep; 56 (3): 243-7. 40. Kutty SA, Johny M. Chronic subdural hematoma: a comparison of recurrence rates following burr-hole craniostomy with and without drains. Turk Neurosurg. 2014; 24 (4): 494-7.